Spring-Loaded Head. 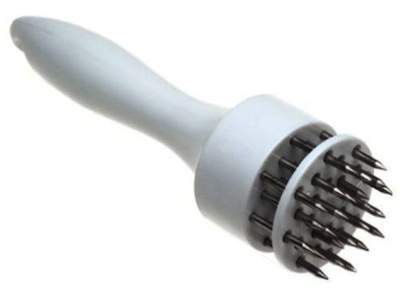 Stainless Steel Prongs Pierce Meat to Make Marinating Faster and Easier. Professional grade! For the serious chef in your life.